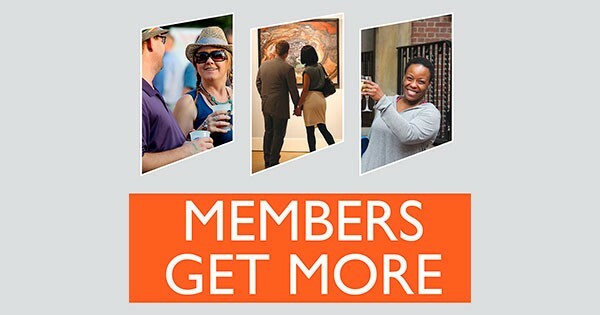 Members get more, with free admission to the collection galleries and special exhibitions, reciprocal admission to 14 other Ohio museums, discounts on events and programs, and discounts at The Museum Store and Leo Bistro. A membership typically pays for itself in 2 visits or less, and it's the holiday gift that gives all year! * This discount is available online, in person at the museum, or by calling 937-223-4278 during regular hours - but only on Saturdays! It's the perfect time to join or give the gift of art. Offer excludes other discounts and Jefferson Patterson Society. No recipient information is needed. When purchasing online the gift giver will receive a redemption certificate to gift personally.